Southern Baptists concerned about having a Russell Moore clone forced down their throat as the next President of the Southern Baptist Convention now have an option. Former pastor, former seminary president and former Wake Forest football player Ken Hemphill will be nominated for SBC president at the annual meeting in Dallas. You can read the official nomination report from The Baptist Message. Endorsements include Dr. Richard Land, conservative apologist and radio host Alex McFarland, and Hemphill earned praise from Pastor of Fairhope Baptist Church Eric Hankins. You can read a list of Ten Reasons for Southern Baptists to vote for Ken Hemphill from SBC Today. Dr. Rick Patrick’s list of reasons to support Ken Hemphill included Hemphill’s firm commitment to congregational polity. Hemphill has an impressive history as a Southern Baptist leader. He deserves consideration for a variety of reasons, but his status as an outsider of the current SBC malaise is very appealing. He is not beholden to the insider-focused Gospel Coalition. We can trust he will make appointments on merit and not simply on names drawn from The Gospel Coalition roster. Such a move is necessary for the health of the Southern Baptist Convention. For too long, insiders have controlled the convention. It is why Russell Moore feels confident to insult Southern Baptist voters and at the same time Dr. Moore openly cheers for J.D. Greear’s nomination for SBC president. Hemphill’s election would not solve the Russell Moore situation, but it would be one step in that direction. Where does he stand on immigration? I’ll ask, but I’m told he is not a Russell Moore clone like J.D. Greear. Honestly, I’ve come to think of little russell moore as the adam schiff of the Southern Baptists. Those two weasels could be soul brothers. When will the Southern Baptists grow a spine and get rid of soros-flunky moore? She references a youtube video where little russell moore was accusing Southern Baptist men of not being manly enough. It’s hard not to laugh. Here’s little russell moore who probably stands about 5’5″. Some little guys are tough as heck. But not this one. He’s got a cherubic, baby face. He’s got a soft build because he’s probably never lifted a weight in his life. And he takes it on himself to tell other men that they’re not manly enough. rusty moore is too much. I just can’t vote for anyone not signed on to the Evangelical Immigration Table. Wait long enough for denominational pundits and key-note speaker winds to change there, pseudo-Soros, and either Hemphill or Greear would probably be willing to meet your stated voting prerequisite. You can vote or not vote and still have your desire. A recommendation from Patrick is not likely to provide much traction with Southern Baptists conversant with denomination’s history over last 3 decades. Get a layperson. Better yet, somebody nominate a baptist female layperson with business background from Louisville ground zero to be the SBC’s next “leader”. Now that would provide a much needed perspective and some relief for sure. I suggested Prof. Carol Swain for ERLC chief. She’d be much more popular than Russell Moore. Look at Hemphill’s resume. If the man is an SBC “outsider”, the rest of us rank and file are the kings and queens of France. He’s been out of power for a long time. He’s also not part of the Neo-Calvinist control structure. Basically, the SBC’s recent appointments to IMB, NAMB, ERLC, etc. be tied to Mohler and The Gospel Coalition. Time to end that mess. Well that helps a little. But still think a lay outsider would generate more grassroot interest. But even were laypeople convinced of need to attend a convention, it is a very tightly controlled and propoganda-laden convocation with no measure of accountability among committees in private session. Steep hill to climb for any noticeable or significant change based on selection of either “traditional statement signers” or neo-cal adherents. Combined, they are same crowd who have held reins for two decades. Open vote to a truly representative process via available technology is an idea worth considering. Even the less than stellar political process of the U.S. allows for local balloting. SBC is a dinosaur on this nuance. Time to end the “mess” created by both sides of the alliance of the CR. This includes Hyper-Calvinists and their irritated partners, “Traditionalists” (fundamentalists under an older non-popular label). Hemphill via Patrick is simply more of the same 20 year old game. IMO. Do something radical. Elect a layperson totally disgusted with both camps yet still full of love for local Baptist churches and people at the ground level. How long must we be subjected to spotlight hungry preachers, seminary professors, and denominational agency heads with their pious platitudes, scial justice theories and bungling administrative techniques? Your support and missions strength continues to suffer under this approach. A wise prophet once foretold that if the SBC “conservative resurgence” were successful, the convention would ultimately fracture and fall on Calvinist vs Non-Calvinist lines. That man’s name was Russell Dilday. Have we eyes but see not? Ears but hear not? Hemphill vs Greear. Both choices all but guarantee the perpetuation of dissolution. Somebody needs to put up a third candidate who is removed from both controlling camps and can navigate through the pet soteriologies of both without losing sight of Christ in the process. I know this is going to sound strange since Cal vs. non-Cal is a big deal right now, but I think the issues are more about eschatology and ecclesiology/polity. That is why I have Cals from both the SBC and PCA contact me irritated about the TGC. Interesting testimony. Eschatology, would not have guessed that one. How someone conceives of the kingdom is going to fundamentally influence how they do everything from politics to evangelism. The politics of neo-Kuyperians like Russell Moore and Tim Keller flows out of their conception of eschatology. So, I think that is one area where you find tension. Plus, and folks involved in denominational politics won’t say it, but about 80% of the conflict in the SBC is that the leadership is composed of jerks who abuse their power and view SBC polity as a nuisance. I don’t think that Mohler is part of the jerk group, but he certainly has enabled Moore and Ezell–the two worst offenders. Remember Mohler’s role in the CR and his days as newspaper editor? He definitely fit the bill for being a “jerk”. 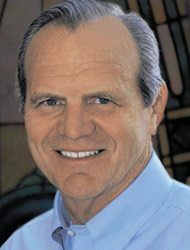 I have to admit, I didn’t know anything of Mohler until after he became SBTS president. But, I was a kid during the CR.